Share: Tumblr lets you effortlessly share anything ranging from post texts, photos, quotes, links, music, and videos, from your browser, phone, desktop, email, or wherever you happen to be. Customization: You can customize everything, from colors to your theme’s HTML. Keeping yourself and your company in the forefront of your prospects’ minds—by giving them valuable information and updates—Microblogging will convert prospects into customers. Try it. Set up a free account, follow some like-minded Tumblrs; invite other Tumblrs to follow you and monitor what they say. After a short while, you will begin to see the most effective content you can deliver to your followers. Today, I will showcase some of the best Tumblr style WordPress themes available right now in the market. Follow WordPress arena on Tumblr. LightBright makes it easy to share your daily life through its Tumblr-style post types. Using the custom post types/taxonomies added in WordPress 3.0, the theme adds special integration options for photos, video, audio, quotes, notes, and links. 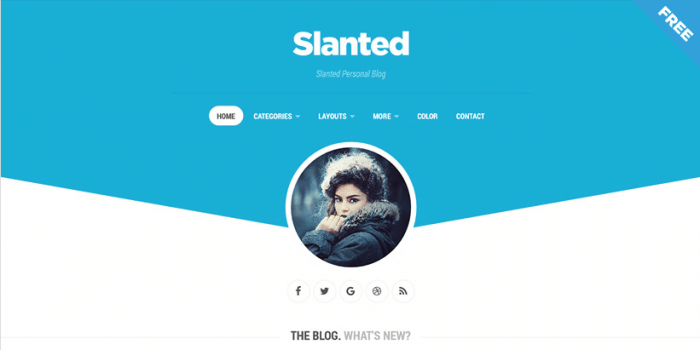 If you love the format of Tumblr but don’t want to give up the versatility of WordPress, this is the theme for you. DailyNotes was to make the simplest and most elegant medium possible through which you could share your daily life. The theme is very minimal in its design and has been trimmed down to the bare essentials. For anyone looking to create a fun and inviting personal blog, I hope that DailyNotes will serve you well! Make your WordPress installation look and feel like a Tumblr blog; 9 different post formats including 15 different color preset that help customizes the look of each post. 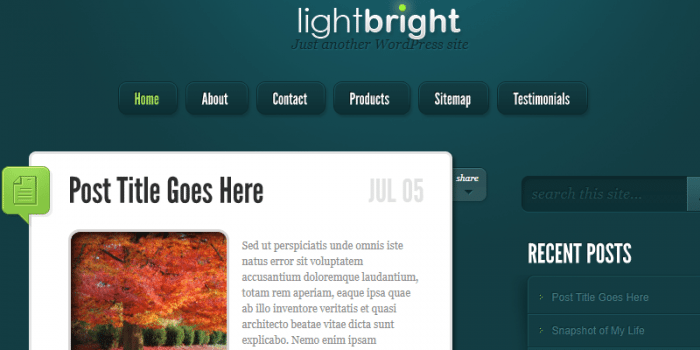 Along with 3 different column layouts for your pages, this is definitely one of our best themes yet! 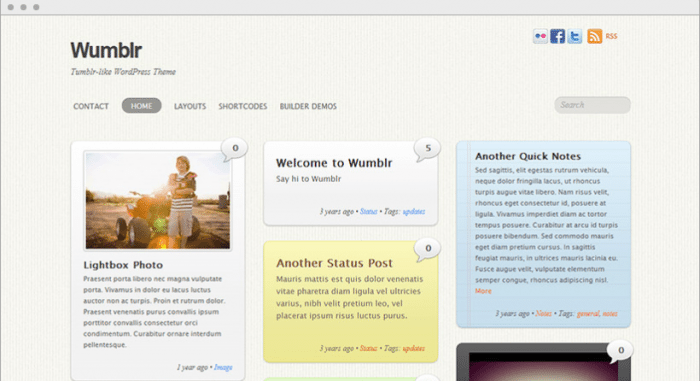 Minblr is a minimal Tumblr-like theme for WordPress. The layout design is liquid and responsive. This means the layout flows nicely across any display resolution. It has 3 layout options (default with sidebar, 2-column layout, and full width with no sidebar). 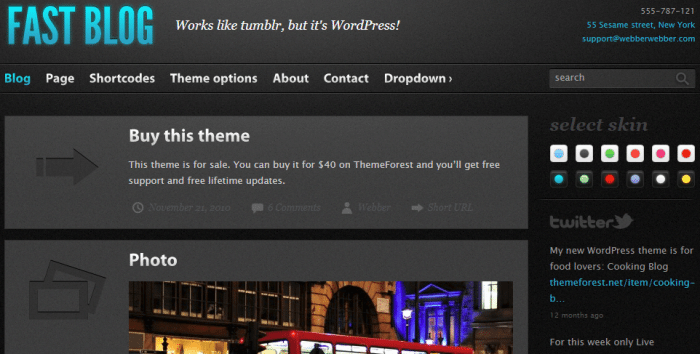 Fast Blog is a Tumblr based theme for WordPress users to make blogging easier for them. Integration with the WooTumblog plugin can quickly add the posts conveniently from any device. 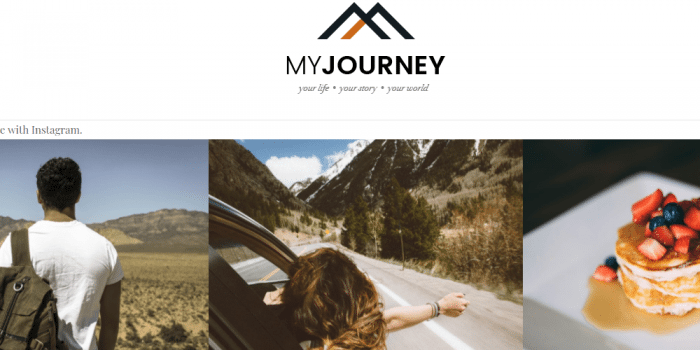 MyJourney wp theme comes with popular 1 click auto install feature that installs demo content into the theme helping you understand how your new original theme works. This theme is created by Themefuse and can be used as a personal blog or portfolio, but Also you can even have fun on the run by posting videos, photos, links and more. Crisp is a creative blogging/portfolio theme to design professional layouts. Explicitly, the range of designs, contact form boxes aligned all make it a complete theme. 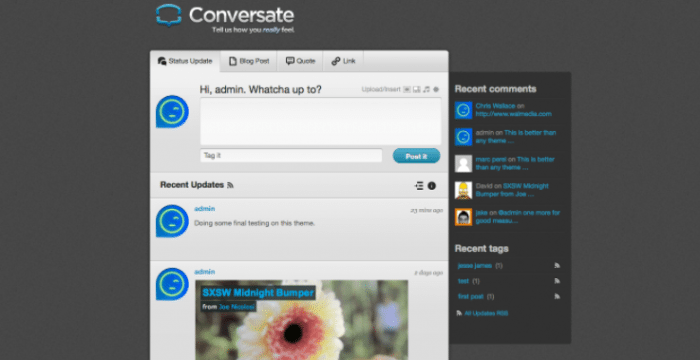 Conversate is a tumblr-styled microblogging WordPress theme with 5 color schemes basis. The unique designs, keyboard shortcuts and styles appeal to the audience. The core functionality of post formats of WordPress gave the ability to WordPress developers to create Tumblr style WordPress themes and they can enhance the Microblogging experience in a better way. Also, check out our awesome collection of Twitter Styled WordPress Blogs.